Breast cancer isn't always detected with the naked eye. Its early signs are often hidden within your breast tissues. Changes to your breasts that you do see may not be the result of breast cancer at all. Lumps and bumps may come and go as your hormones ebb and flow and as you age. Also, breast skin may change texture due to sunburn, radiation treatments, or infections that cause rashes. So, how would you know for sure whether or not a lump, skin rash, or skin dimpling is benign or cancerous? You will need help from your medical professionals to get a clear diagnosis. If you test positive for breast cancer, estrogen and progesterone biomarker test results appearing on your pathology report will help your physician determine which type of the disease you have. This information affects your treatment as well as your follow-up care. HER2 (human epidermal growth factor receptor 2) protein can fuel the uncontrolled growth of a breast cancer tumor. Herceptin is used to treat this kind of breast cancer, in combination with other chemotherapy drugs. Lapatanib is also available for those who are HER2 positive. Knowing your HER2 status affects your diagnosis and treatment. Women who are between 20 and 30 years old should have a clinical breast exam during their annual physical. If irregularities are found, a mammogram and ultrasound can help clarify the nature of the problem. A mammogram is the gold standard for breast cancer screening and early detection. The American Cancer Society recommends that women 40 years old and up have an annual mammogram, though some other medical associations push that recommendation to age 50. A breast MRI reveals different details of your breast health than a mammogram, so it can be used as a complementary test. MRIs don’t use compression, like mammograms, but are much more expensive and not as widely available. 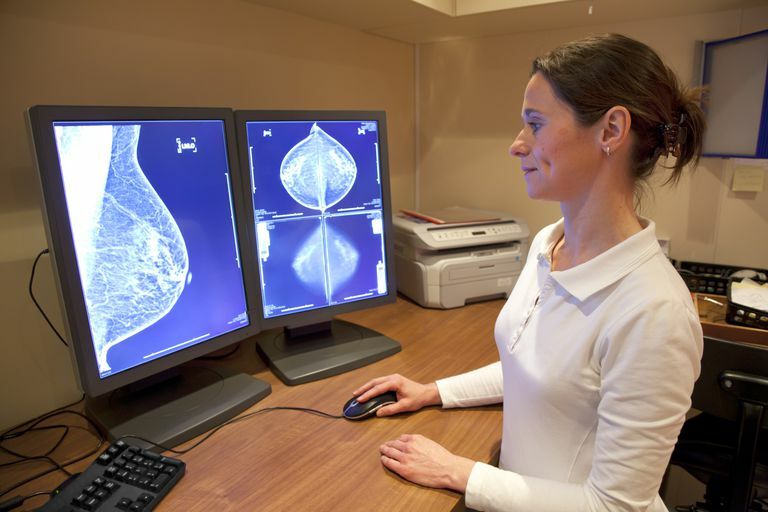 Elastography is a new, though still investigational, technology for imaging breast tissue. It may be better than mammography, ultrasound, and MRI at distinguishing between benign and cancerous growths. Elastograms can find a cancerous lump without a biopsy. If a breast lump is suspicious, a sample of tissue or fluid must be taken and tested by a pathologist. Ductal lavage has been referred to as the "pap smear for the breast." A tiny tube is inserted into the breast to draw fluid from the breast ducts, which is then examined under a microscope or screened for cancer cells. This is also an investigational screening technique. During an aspiration, your doctor will use a fine needle to suction a sample of fluid from a lump, such as a cyst, to be screened.